Please do not purchase this item unless directed to do so once a quote has been provided! Simply enter the total quoted price you recieved by email and leave the quantity at 1. Be sure to specify what the custom work funds are for! *Free shipping to United States and Territories only. Free shipping below $30 is USPS First Class Mail. International postage is always a flat $8. Transit times are determined by the USPS and are not guaranteed. Jeep®, Wrangler®, Rubicon® and Mopar® are registered trademarks of FCA US, LLC. 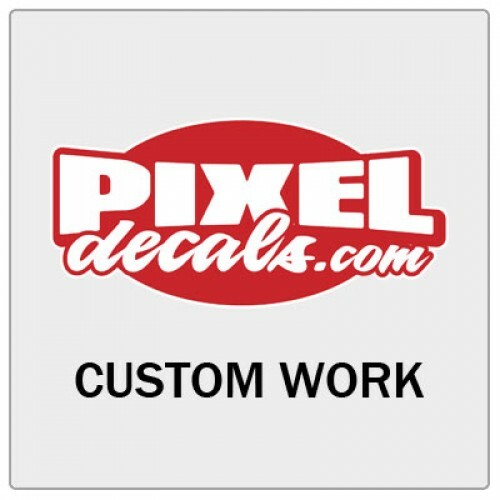 pixeldecals.com is not endorsed by or affiliated with FCA US, LLC. Any other trademarks used herein are for illustration purposes only and belong to thier respective owners.